If you are looking for a reliable air conditioning installation, maintenance and service firm, then here’s some good news, the Rite Rate Air Conditioning Repair Service and Maintenance. This is a great A/C system repair, service and maintenance firm that specializes in offering top notch services as far as air conditioning is concerned. So, never sweat because of the harsh summer heat due to your A/C system’s malfunction and high repair and maintenance costs. Rite Rate has years of experience in offering the best air conditioning service, repairs and maintenance at unbelievably fair and affordable rates. These services are available 24/7 just to ensure that your system is back on track as soon as possible. They always have their technicians on standby, ready to come down to your place immediately when you inform them of your A/C’s problem or need for service and maintenance. At Rite Rate, there are a variety of services offered including air conditioning installations, air conditioning repair, air conditioning service and furnace repair, furnace installation, furnace service, air handler repairs and replacements, outdoor condensers repair and replacements, evaporator coil cleaning, repair and replacement, refrigerant lines repairs, service and replacement, digital thermostat installation, repair and maintenance, emergency pans, blower motors, freon leaks and so much more. When it comes to our staff, Rite Rate boasts of a great and dedicated team of trained, experienced, licensed and certified technicians who are devoted to ensuring that they offer the best A/C services to clients’ satisfaction. 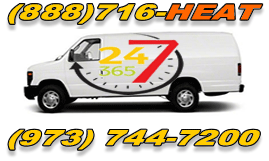 They are ever available 24/7 just to ensure you get help concerning your A/C servicing and repair whenever you seek their services. Rite Rate is just the best air conditioning service company. At Rite Rate, you get the best services at a very affordable rate. One amazing thing with us is that we have great discounts and reduced prices on all our air conditioning services and new installations, something you rarely find in other companies. We also have well trained and certified technicians who will handle all your A/C issues with professionalism and great dedication regardless of your system’s brand or model. With Rite Rate, all your A/C problems will be solved instantly, once and for all! Just like a car engine, A/C systems need a lot of care, servicing and maintenance or else, they wear out pretty fast. With frequent maintenance and servicing, your system will remain in good condition thus saving you quite a lot. Also, repairs are important regardless of whether they are minor or major. It is worthy to note that these minor problems that you often ignore may lead to further complications and this damages your system and may incur very high costs when the situation gets out of hand. So with this, call us today and we will be glad to offer you our exclusive air conditioning services.